Chipotle is Apple: How the burrito chain is revolutionizing fast food. 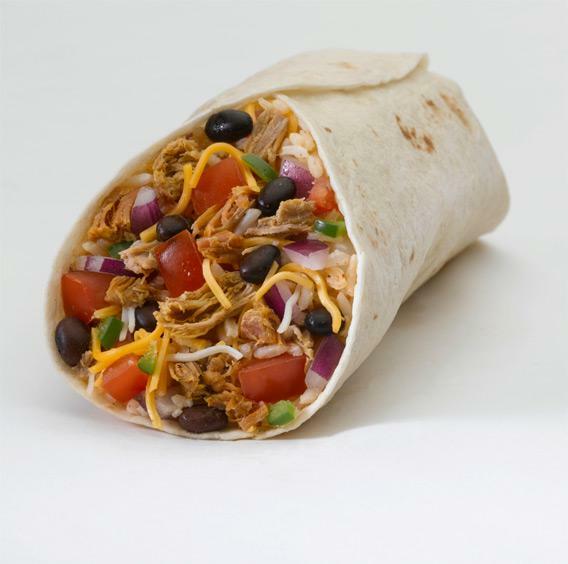 The burrito chain is revolutionizing food: Why doesn’t it get more respect? Thanks to Chipotle, the burrito has become a “fast casual” mainstay. Hunting for business success stories in a recession is a difficult (and sometimes depressing) task. Most of the feel-good stories seem to come from the high-tech world and the burgeoning app economy. One important exception is Chipotle Mexican Grill, a company that shows there’s clearly room for growth and innovation in even the most basic sectors of the economy. Anyone who has walked a city block (or driven a suburban one) in recent years knows that Chipotles have been springing up around the country. But the numbers need to be seen to be believed. They opened 67 new stores in the fourth quarter of 2011, growing by just over 5 percent to 1,230 total outlets. They opened the first Chipotle in London, and launched their second restaurant concept, the Southeast Asian-themed ShopHouse, whose initial location has quickly become a lunchtime favorite for those of us who work in the nearby Slate D.C. office. Chipotle stock is up 50 percent on the year and over 500 percent over five years, far outperforming the market as a whole or the restaurant sector in particular. They announced last week that revenue grew 23.7 percent in 2011, with an 11 percent increase in same-store revenues. Restaurant operating margins are more than 25 percent. Yet the food service industry can’t seem to get any respect. Politicians don’t name-drop burrito innovators as examples of the kind of entrepreneurs they want to encourage, and despite food’s ubiquity in our lives, culinary progress is slighted as a source of human progress. Chipotle’s growth since its 2006 IPO should be seen as a great American success story. There’s nothing new about fast food, of course. But it’s not as if Steve Jobs invented the cellphone. In many ways, the Chipotle burrito is very similar to the iPhone. Founder Steve Ells invented a way to maintain the basic speed and experience of the standard fast-food experience and make the quality of the food a little better. * The better food costs a bit more money, but consumers turn out to be happy to pay a premium for a superior product. A similar insight is behind privately held Five Guys, a burger-oriented fast-food concept that’s also grown rapidly over the past several years. At the other end of the health spectrum there’s Chop’t, the assembly-line salad chain that’s taken New York and D.C. by storm but hasn’t yet gone national. All three chains are, in their different ways, raising the bar for food quality in a quick-service setting. Chipotle stands out for some unusual process innovations as well. Their “barbecued” meat products—carnitas and barbacoa—are vacuum-packed and cooked sous-vide in Chicago before being shipped out for on-site reheating. The sous-vide cooking method is mostly associated with cutting edge haute cuisine. The way it works is that a piece of meat and its accompanying seasonings are placed in an airtight bag. The bag is then placed in an immersion circulator, a bath of water that’s held at a very precise temperature. Cooking this way is slow, but extremely precise. A piece of meat held in a 155 degree water bath for long enough will cook uniformly to exactly 155 degrees worth of doneness. Sous-vide meat can then later be seared, sliced, chopped, or prepared any which way you like. Fancy chefs are the best-known practitioners of the technique, but in many ways it’s ideally suited to more casual dining. What it does, in effect, is use capital (the fairly expensive vacuum sealer and immersion circulator) to make it trivially easy to cook precisely. Done this way, workers with little training can produce expert and completely uniform results. Exactly what a large chain needs. In light of perennial hand-wringing about the state of America’s industrial base, it’s worth emphasizing that the North American Industrial Classification System regards food packaging as a form of manufacturing. If the Chipotle kitchen in Chicago were an independent firm, in other words, it would be considered a “manufacturer” of carnitas, just like the people who bring you canned peas and Spam. As it stands, Chipotle is instead classified in the much-derided service sector. And yet it’s impossible for me to look at a Chipotle during a busy time and not see a modern version of an assembly line. Each worker is responsible for one or two steps and then hands the package off to the next. The production inputs—rice, beans, meat, salsas—are assembled backstage and delivered at the command of the line workers. It’s not glamorous work or well paid, but it does offer a chance at advancement. The overwhelming majority of salaried managers were promoted from hourly wage jobs, and the best managers are further promoted to become “restaurateurs,” a kind of supermanager who oversees multiple stores. Wages for line cooks, meanwhile, would presumably rise if the unemployment rate fell.